Pentwater is a quaint little community in Oceana County Michigan that is known for its public beaches, cottage rentals, and famers markets. 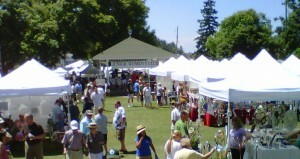 The area of Pentwater has a great mix of arts, culture, and other activities to do, and it is a popular spot with vacationing tourists in the summer months. Pentwater Lake is a very desirable lake to be on in Oceana County, as it has direct access to Lake Michigan via a channeled pier. This allows waterfront homeowners to gain access to the big lake while still maintaining the ability to keep a boat in the water, have a dock, etc. There are many vacation homes and rentals in the Pentwater community as it is a popular tourist destination in the summer months. The Pentwater community is very active in the arts, and the Pentwater Arts Council seeks to promote arts within the community. There are various art galleries and photography studios through the town that help to bolster the profile of local artists and elevate the level of artistic expression throughout the community. There is plenty to do in Pentwater. If you’re not walking the pier, boating on the lake, or taking in the local art and scenery, there are plenty of other activities that you can enjoy. First, if you are a golfer, there are a number of gold courses in the Pentwater area where you could easily spend a nice sunny afternoon on the links. If you want to be a little more adventuresome, there are multiple charter sports fishing operations that are a blast to go on. If you are in town on a vacation or a long weekend, this is a great way that you can get out and experience the lake without have to have your own boat. Plus, reeling in a few fish is a great experience. If you are interested in sailing or learning how to sale, the Pentwater Yacht Club is a great place to do so. 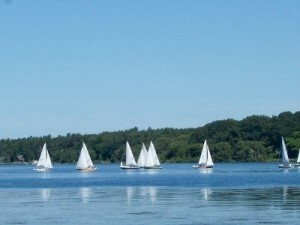 They offer sailing lessons, and they also have regular sailboat races in the summer season. 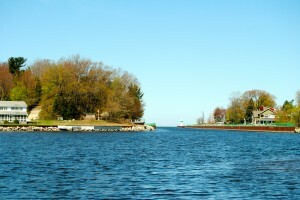 Pentwater is conveniently located between Mears, Michigan and Ludington, Michigan. While there is plenty to do in Pentwater itself, you can also travel to the surrounding areas. If you want to visit the nearby Silver Lake Sand Dunes, they are only a short drive away. If you want to go into Ludington, you are just a short drive from there as well. If you are interested in homes on Pentwater Lake, be sure to look at our Pentwater Lake listings page to see what is currently available in the area. If you see anything that you would like to take a look at, please fill out our contact form or give us a call. We would be happy to schedule a showing for you.